Guests at La Pievuccia are offered a unique experience living in traditionally Tuscan apartments that are characteristic of our rich farming history. 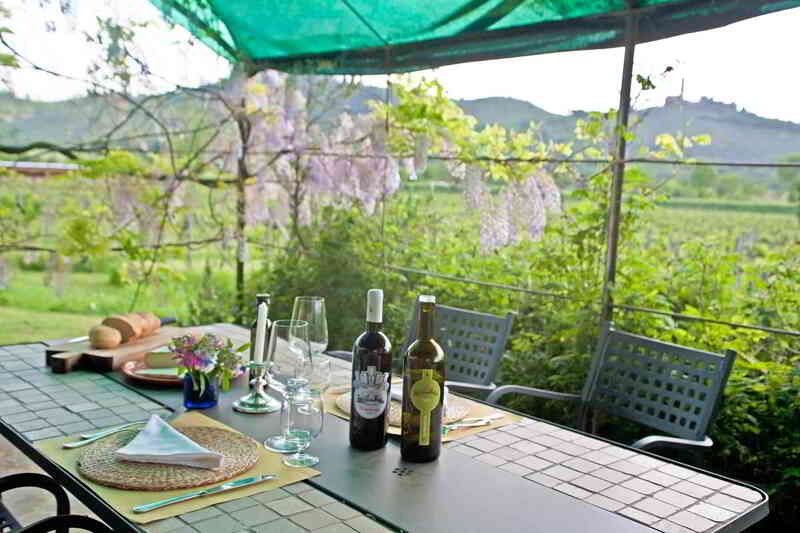 Each flat has been lovingly renovated and tastefully furnished with typical Tuscan furniture. Just a few steps away from your home in Tuscany, you can refresh in the pool or relax under a tree and take in the exquisite view of the castle of Montecchio. From your intimate patio you can view unforgettable sunsets in the most complete relaxation, while enjoying a glass of good wine. 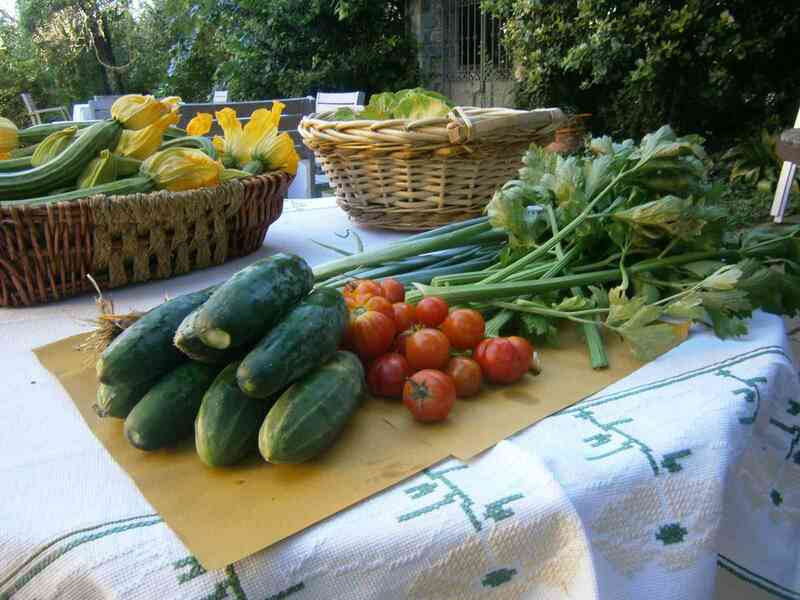 You can cook your own meals, as all apartments are fully equipped with all the home comforts, and we welcome you to pick seasonal vegetables at your pleasure from our organic vegetable garden as a free service during your stay at La Pievuccia. Directly from the garden to the table. 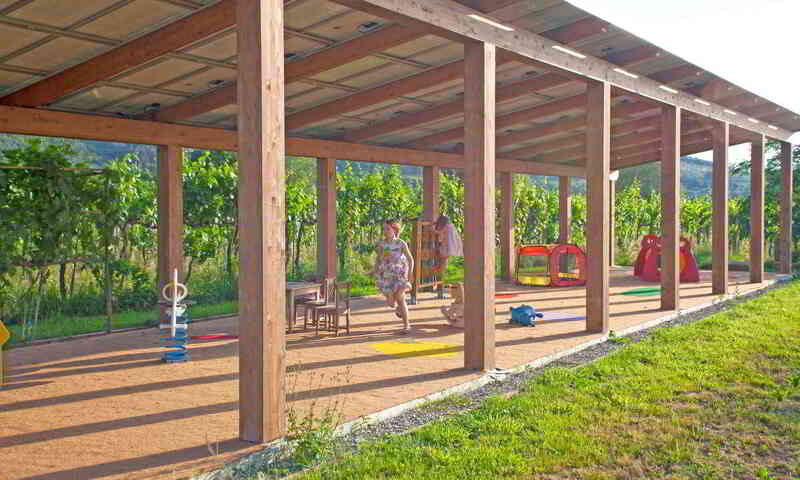 We have an educational garden for kids, where they can learn about the cycles of nature and the principles of organic farming. The roof of this area is where we have decided to place the solar power panels that provide all the energy for our farm. We have done so without reducing our farm land. Check the description of our apartments or use the form on the right to verify availability for your desired period.